@Tonskulus - Very nice project, interesting 4" drivers, what are they? Only possible minor issue, the "steel" screw in the round inductor, may work like an iron core? Or is the inductor former actually "iron" anyway, rather than the dark plastic that it looks like? Perhaps use a nylon nut/bolt with hot glue to retain it? You mention it is a prototype, and I don't know if it would actually have an audible effect, but might do? Apart from that, looks rather fun! Looks like a nice little system. I agree with Matt's comment on the crossovers. The steel screw will increase the inductance of that coil. It really should be replaced with a brass woodscrew - they are readily available. I presume the resistors are hot-glued to the panel. Depending on how much power you are using, they may may get hot enough to melt the glue and fall off. So it may be a good idea to find some solder tags, screw them to the panel, and use them as tie points for the connections. Thank you! Yes, I know steel screws are absolutely no no when it comes to crossover coils. This particular coil is ferrite core -type, final assembly will be without screws. Resistors are just fine @ hot glued, they will never get even warm at the power levels used. Audyn capacitors do what they are supposed to do, as well as almost any standard polypropylene/film capacitors. Not much audible difference if at all. Almost any film/foil cap is just fine, bipolar electrolytics not so good as they get lossy at high frequencies, did some measurements/comparsion. 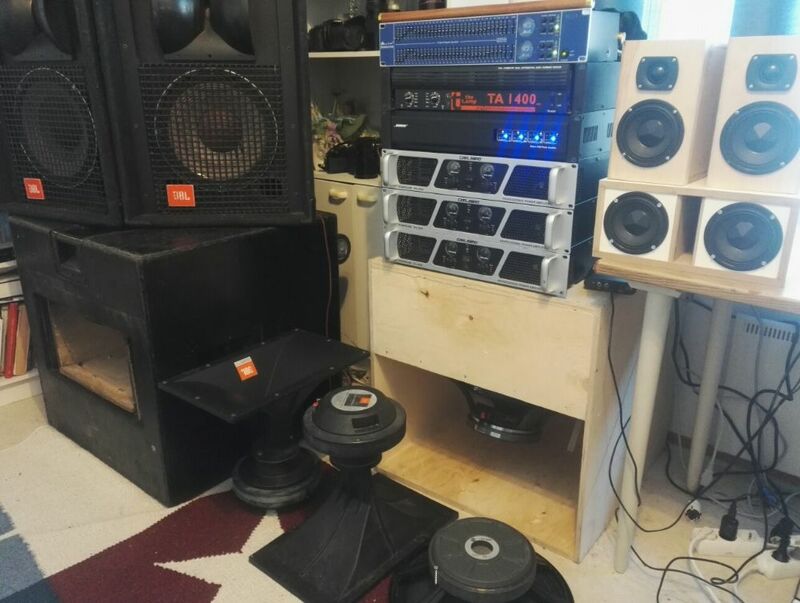 Yesterday I fired up my hogs again just for fun, had to test my Bose entero 4400 amp (4ch, 2x900wrms/8ohm bridged) which is actually really good for sub duty, as it is! 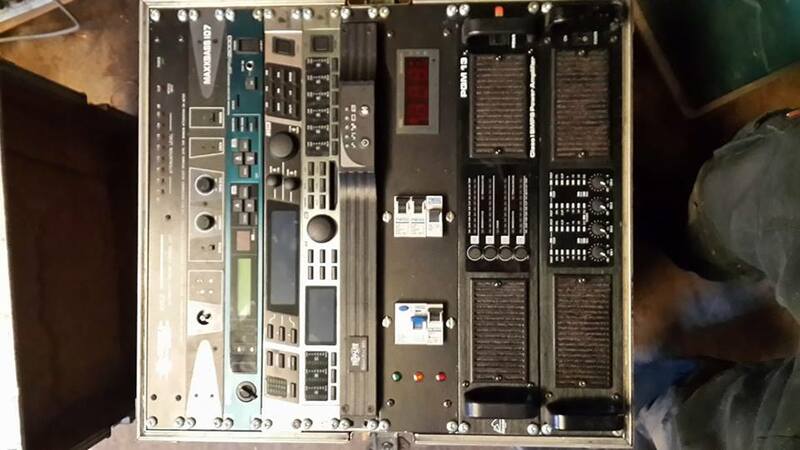 Much more aggressive and precise than some of my old QSC amps. Absolutely dangerous stuff in living room! A collaboration between Shikoba Soundsystem and Onkruit Soundsystem! 2 x15" reflex cabinets built by myself loaded with Fane Colossus Prime 15XS (Fane 15" reflex plans). 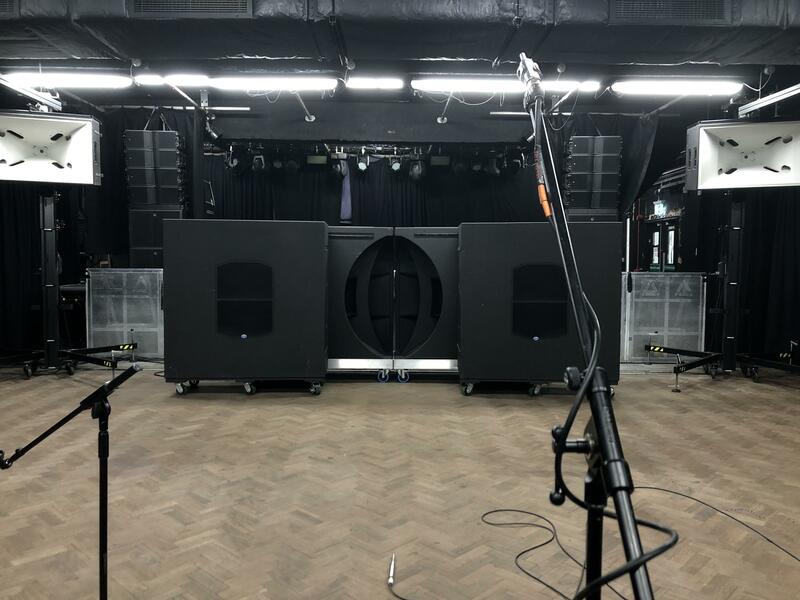 2 X Cerwin Vega V152 tops with Beyma 15" drivers. First things we have ever built. Built using knowledge from Speakerplans, grills from Markie, powder coated locally. 2 x QSC RMX 2450 - each bridged 8r, 1 for each scoop. She kicks like a mule and sounds really nice... Thank you for your collective wisdom! 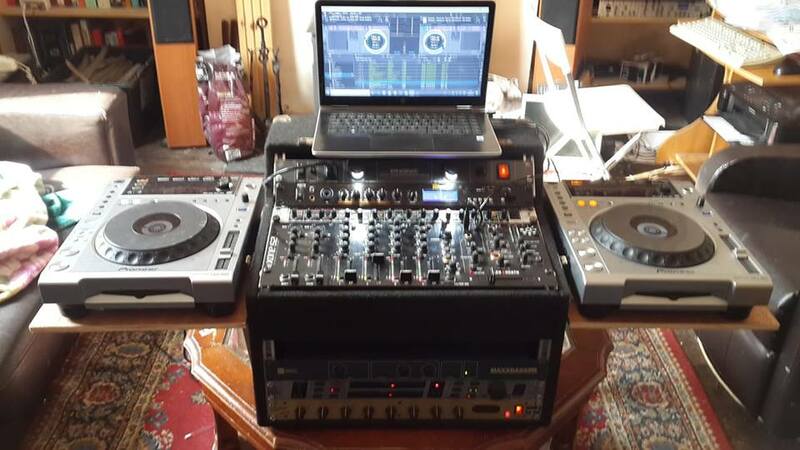 CDJ side-tables slot into the case handles. should be room underneath for a 1210 and will cut away a bit of the front edge of the table so that they vinyl and arm are accessible.